Natural Red dye derived from the juice of Beetroot. 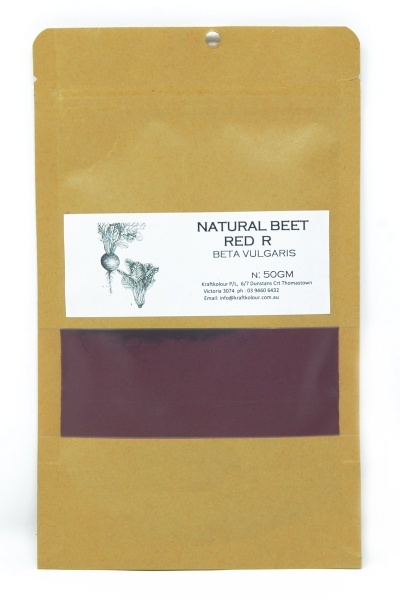 The dyestuff obtained from the root of Beetroot is known as Betanin and is commonly used as a food colouring to enhance the colour and flavour of jams, sauces & tomato paste. Used as a dye it will give lovely rosey fuchsia reds with reasonable fastness. Use alum mordant at 15% WOF for protein fibres. Use dye at 3% WOF for mid shades. Dye at a low simmer, cool on and rinse well. This dye will exhaust onto fibre.